State-owned oil and gas company Sonatrach, the backbone of Algeria’s economy, is reeling under an acute brain drain as its recent discoveries fail to offset the decades long depletion of the country’s hydrocarbon resources. 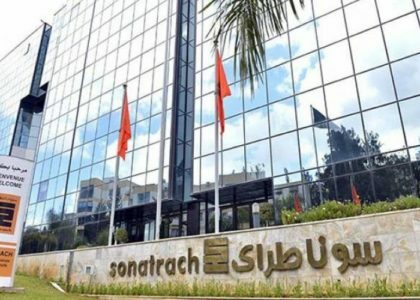 The company has lost 16,000 of its brilliant minds in the last eight years deplored Sonatrach officials in statements to Algerian media outlets. “Sonatrach has lost 16,000 of its finest executives and engineers specializing in activities linked to hydrocarbons in the last eight years,” CEO Adelmoumen Ould kaddour told journalists in Annaba. He described such a brain drain as “acute bleeding,” adding that the company is working on measures to train new managers. The company has been hit in recent years by insecurity in Algeria’s south after the 2013 attack on a gas plant near the borders with Libya. The attack has deterred foreign investors. Algeria’s oil and gas producing capacity is shrinking every year. The government tried to buy time by prospecting new oil and gas reserves in 2016. Sonatrach claimed to have discovered 32 new potential exploration zones, most of them are new fields of shale gas whose exploitation is unsustainable in view of the lack of water resources needed to undertake hydraulic fragmentation. International Think Tanks have been worrying in recent years over Algeria’s declining gas production coupled with a surge in domestic consumption. Since 2007, Algeria’s consumption of oil and natural gas has risen by more than 50 percent while its oil production has fallen by 25 percent. With less oil available for export, the government’s revenues have been hit hard, Stratfor consultancy said in a report on Algeria’s economic prospects. According to estimates, the North African country will be a net gas importer of LNG in two decades, warned the former Algerian energy minister Nourdine Ait-Laoussine.